Samsung has started rolling out the third beta build of Android Oreo for the Samsung Galaxy S8 and S8+. i If you happened to have signed up for the Samsung galaxy S8 and galaxy S8+ beta program then you can go ahead and check if the latest beta update is available for you by going to Settings > Software Updates > Download Updates Manually. The previous Oreo beta 2 had a lot of bug and stability issues which has actually been addressed in this latest Oreo beta 3. The latest version comes with the ability to hide notifications of apps running in the background and also lots of bug fixes. The Oreo beta 3 was first pushed out to south Korean users, followed by the UK and now it's finally available for users in USA. 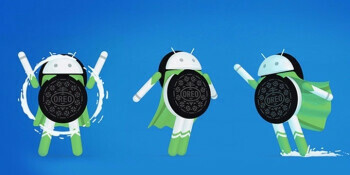 At the moment, the oreo beta 3 is only available to users in the USA, UK, and South Korea, but there will be a second phase of the program that will add six additional markets - Germany, Spain, France, Poland, India, and China. If you are not part of the beta program yet but want to join, then you will first need an unlocked Samsung galaxy S8 or galaxy S8+. After that, just download the Samsung Members or Samsung+ apps and enlist your device in the beta. The app is available on the Play Store and on Samsung's own Galaxy Apps. I am from USA. You are sharing useful information for me. yes ,The previous Oreo beta 2 had a lot of bug and stability issues which has actually been addressed in this latest Oreo beta 3. Thank you for sharing . I also visit my blog for more inspiration.